If you want to buy a Cocoa Beach High School yearbook or sell your Cocoa Beach HS yearbook, this is the place to do it. Just make a post below to find another person who went to school in Cocoa Beach to make the trade. I graduated in 2002, but I want to see a yearbook from a few years before that. I want to reconnect with some old classmates from this year. 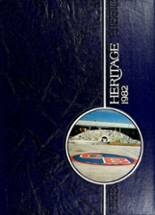 Looking to purchase a 1990 yearbook. Mine got damaged in a flood. Would love to be able to replace my husband yearbook. His was destroyed and it would mean alot to him to have one again. L lost my yearbook many years ago and would like to have a look. Please help me. 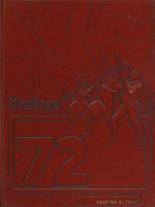 Would love to buy a new or old 1971 CBHS yearbook. Are there 1970 YB's available? I am looking for a 1965 or 1966 year book. I graduated in Kansas in 1969 but I went to Cocoa Beach High school from 1964 to 1967. I would like a 1965 and/or 1966 yearbook new, used or electronic copy. Thank you! I would like a 1965 yearbook new or used. I am not sure if a 65 yearbook was made. I found and bought 66, 67, 68, and 69 yearbooks at an estate sale in C.B. 12/01/17. Possible trade?